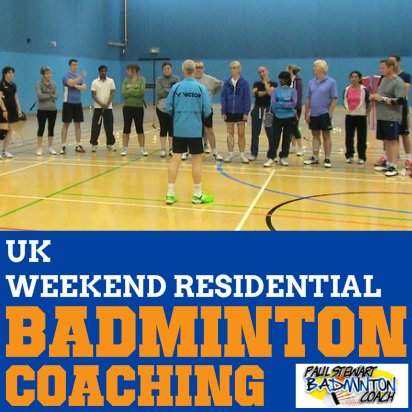 We receive many enquiries from players who are concerned they aren’t good enough to apply for one of our weekend badminton courses, thinking they are only for advanced players. My web page states that the course is open to intermediate to advanced players. I suppose it would help if we had a clear definition of an intermediate player. 1) Serve. You understand some of the service rules and scoring rules. You know the difference and can play a low serve and flick serve. 2) You are able to clear, drop and smash the shuttle reasonably well. 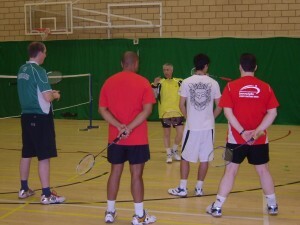 3) You can play a little at the net although you haven’t been shown the finer points. 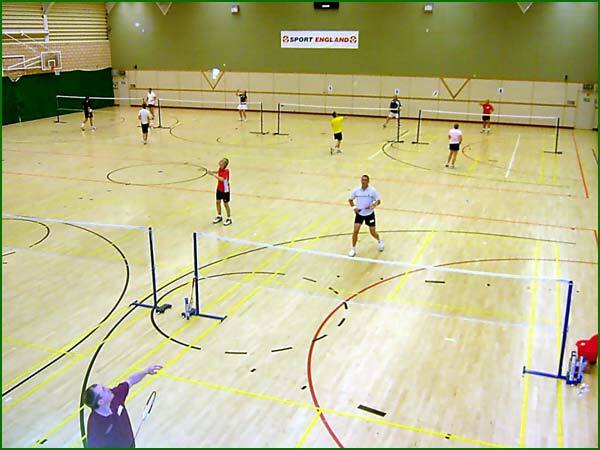 4) You have an idea where to stand in level doubles and mixed doubles although do not know much about changing position or tactics. 5) You can keep the shuttle in play reasonably well during a game. I know some of you may be thinking that this is still a little unclear. After all, how do you define “reasonably well” in terms of standard? Reasonable to me is that you can hit between 3-5 out of 10 in the area you’d like the shuttle to land. My main concern is to stress that these residential weekends are not for beginners. We’ve always had a good mix of players and tried, where possible, to ensure that all players mix (something we learnt from our first residential course – thanks for the feedback!). As you can imagine, it’s not always easy to get the right mix of players because of varying standards. That’s why I now insist on having more coaches to help out. 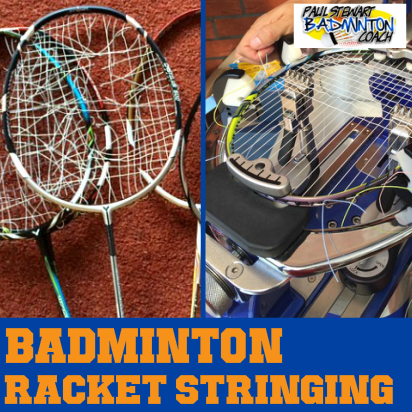 This way, we can ensure there is always a good feeder on court to get the best results for you. Our coach/player ratio is typically 1:6. There are times where it’s necessary to split the better players away from the main group. This allows us to push them harder and teach them more advanced techniques which they want, and are ready for. 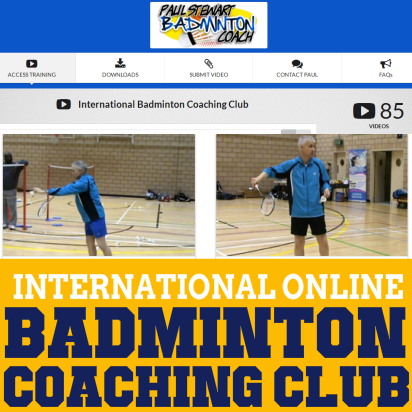 At the end of the weekend, I can guarantee that every player will have been pushed hard to improve their badminton skills. I’ve not seen a player yet who hasn’t taken a lot of new skills away with them. And, that’s what my residential coaching courses are all about – YOUR IMPROVEMENT! I’ve found footwork to be the most important thing, a backhand is great, but if you’re fast enough to avoid needing to backhand 90% of the time, thats preferable. 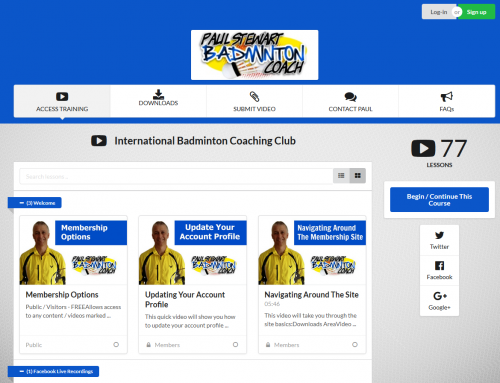 Serve is also an incredibly important thing that is often overlooked, most people just want to get the point going, but if the serve is strong enough, you’re gaining the advantage straight away. anyway, I’ll certainly try and make the sept training weekend this year ! I agree with your comments. However, you should see the looks I’ve had in clubs when I told them the fastest way to win more points was to practice their service. It would be good to meet you in September. I think we’ll have a very busy course as I know of a lot of players looking to re-join us for this one. Good article, I am one of the people who wondered if I’d be a high enough standard, and this has made me rethink. It concerns me that players who really want to improve get the chance because there’s so little out there in terms of coaching unless you’re a junior. 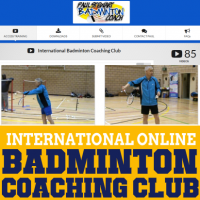 Club badminton is not geared to improvement because most players do not want to practice or learn. Many just want you to leave them alone and let them get on with the game. And yet, they want to win! The sad thing is most players could massively improve by working on only a couple of things. However, all they want is a bigger smash and a backhand.